As well Sydney's latest tango band, Orquesta La Luna which has been wowing dancers and audiences since their first performance at the SydneyTango milonga at Bexley RSL in July will be at Sydney milongas in the coming months. Their faithful interpretations of the music beloved by dancers, together with their passionate, professional performances have already given them a strong following. An interview with Daniel Rojas-Gonzales on SydneyTango website will tell you more about this talented musician and his passion for tango. There is much to enjoy coming your way - concerts, milongas, special events with some of the world's leading tango dancers, including the inimitable Javier Rodriguez, and festivals big and small. We'll be back with more news in November. Throughout October, Nestor Vaz will perform with local band Tàngalo at milongas and concerts and with Tàngalo’s artistic director, Emily-Rose Ŝarkova as a bandoneon duo. 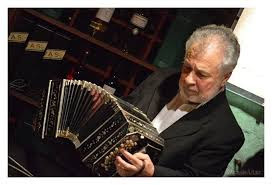 Señor Vaz has a towering reputation as a bandoneonista and has played with such ensembles as Quinteto Imperial, Tango por Dos and Tango 4 as well as the Montevideo Municipal Symphonic and the Montevideo Philharmonic Orchestras. 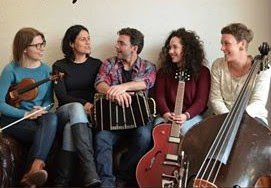 Established in 2012, this Quintet led by bassist Leanda Smith and pianist Monique de Mattina are back with new band members Paloma Bica on Violin and Rose Gonzalez on guitar, plus bandoneonista Leo Intellangelo, will perform a night of Piazzolla. 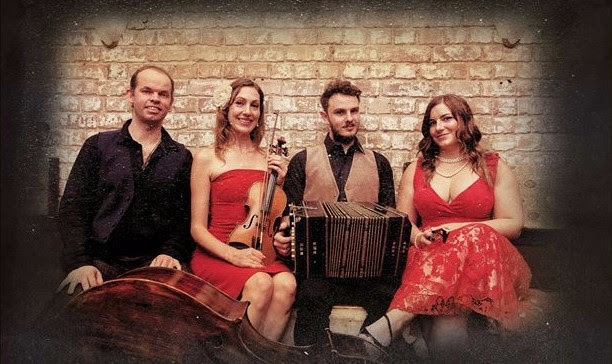 With Stephen Cuttriss on bandoneon, Rebecca Karlen on violin, John Reeves, piano and Chloe Ann Williamson, double bass, this quartet from Brisbane is inspired by one of the most famous wine regions in South America. All professionally trained musicians with a love of tango their repertoire includes the golden age classics together with some of the popular later nuevo style. BASH, Buenos Aires in the South Highlands, is a weekend of tango organised by the Sydney and Canberra tango groups, and this year Mendoza Quartet will feature at their Saturdaynight milonga. Sydney performer and teacher Hosanna Heinrich will join with Anibal Montenegro to present workshops in Sydney. To find out about workshops visitFacebook. Javier Rodriguez is considered to be the world's top male dancer of tango salon. He has been dancing for over 20 years and has performed at major tango festivals worldwide. He has visited Australia a number of times, dancing with different partners since the amazing partnership with the late Andrea Misse. The workshops hosted byTango Spirit are keenly awaited and there are only a few spots left. Don’t miss them. Cecilia has been a regular visitor to Australia for over a decade. She has taught at many Festivals and partnered many famous tangueros including Fabian Salas and Osvaldo Zotto. Patio de Tango hosted Lorena and Cristian (left) in 2014 and they are again hosting this superb tango couple who will run workshops in Sydney only. Patio de Tango will also host this couple. This will be a first visit to Australia for them. 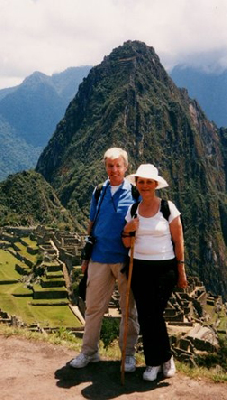 Contact Martin at Travel Choice, the South American specialists, and plan your trip with the experts. Orquesta La Luna is Sydney’s latest tango band, created by the hugely talented Daniel Rojas-Gonzales. 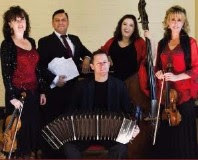 The five talented and experienced members of this band perform music for dancers with faithful and inspiring renditions of D’Arienzo, Troilo and Pugliese in a repertoire that will have tango dancers on the floor. These two orchestras bring a diverse interpretation of tango music to the quirky Camelot lounge. Alturas is a very different band. Also talented professional musicians, this group’s background is jazz and their interpretation of tango is not traditional. It is their own unique interpretation of the genre which inspires their music - and their listeners. Ruedisima Latin Dance will present Orquesta La Luna at their milonga in Newcastle. 150 Beaumont Street, Hamilton (a suburb of Newcastle). Tango Entre Amigos will celebrate their 15th Year Anniversary with a milonga featuring Orquesta La Luna. One of Sydney’s oldest and most traditional milongas, run by Fabian and Karina Conca from Tango Conca and Jacqueline Simpson from Tango Spirit, together forming Tango Entre Amigos, this milonga is on one of the best dance floors in town. Hard Court Tennis Club, 35 Centennial St, Marrickville. Sydney Tango will present Orquesta La Luna at the newly opened La Boca Bar and Grill in Mascot. More details as they come to hand, but this should be an amazing night of fabulous music, great food and plenty of tango! Festivals big and small - plan your weekends now! Three days of social dancing, workshops and exhibitions featuring guest teachers and DJs. 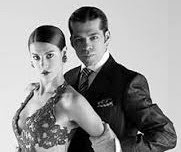 Guest teachers, Fabian and Karina Conca, from Tango Conca in Sydney and Andrew and Adrienne Gill from Southern Cross tango in Adelaide will conduct workshops and perform at the milongas on the weekends. 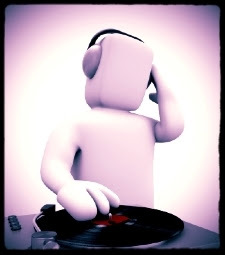 DJ Sonny Ho from Sydney will provide the vibe at Saturdaynight’s milonga and Fabian and Andrew and Adrienne will DJ at the Friday and Sundaymilongas. A great opportunity to get together and tango in one of the most beautiful towns in Australia. Organised by Jenny and Vince Merlo from Tango Milonguero. 28-29 Oct: A Victorian Country Tango Excursion, Creswick Victoria. Sidewalk Tango is heading for the bush, taking the Martini Tango Cabaret Show to the pretty Victorian town of Creswick and the home of artist Norman Lindsay. There’s a show on Friday October 28 and another on Saturday October 29, both starting at 8pm, at the Creswick Theatre in Raglan Street. 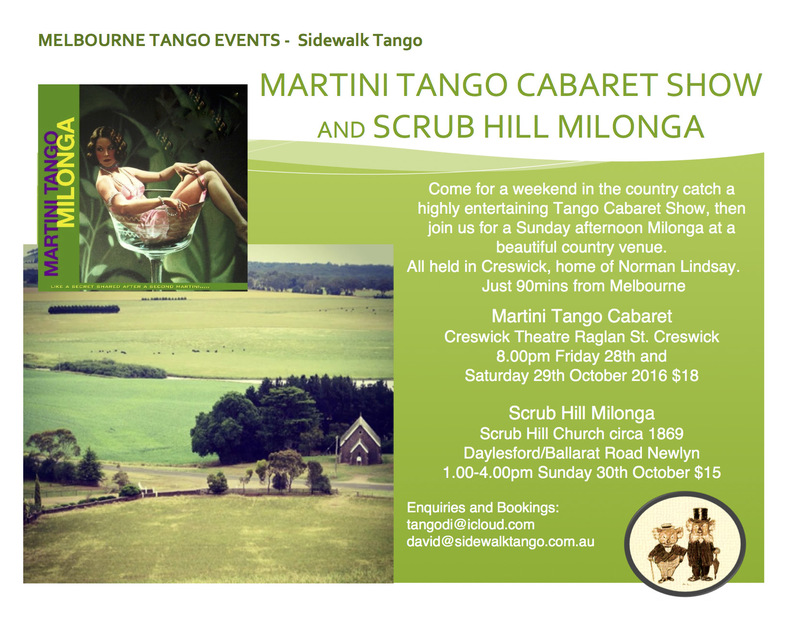 And then on Sunday October 30, 1.00 – 4.00pm there’s the Scrub Hill Milonga, at the historic Scrub Hill Church (circa 1869) on the Daylesford- Ballarat Road, Newlyn. Tickets for the show are only $18 and for the milonga, $15. BASH is held in the Bundanoon Soldiers Memorial Hall in Bundanoon from 7pm Friday 25 November to 3pm Sunday 27 November. 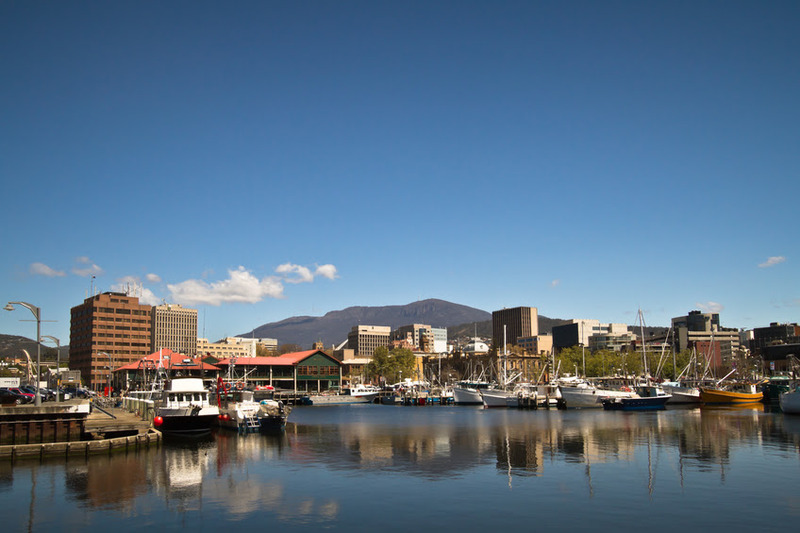 "Unlike Buenos Aires, it is accessible by car or train from Sydney or Canberra!" says Synergy president Karan Rowe. "This year the focus is on plenty of dance time. You choose when you dance and when you rest." BASH is a joint initiative of Sydney's Tango Synergy and the Tango Social Club of Canberra. Tango Synergy is managing the event this year. This Festival reappears for the second time in 2016. Find out more on the website which is now live with all the details of Julio Balmaceda & Virginia Vasconi workshops. The welcome milonga is onFriday 2nd December. Workshops from the 3rd to the 10th December. Registrations for this popular beachside festival opened on October 1. Organised by Wendy and Rob Hirst, passionate dancers from Port Macquarie, this weekend provides a mix of formal dancing and dancing with the sand between your toes. Presenting Lorena Ermocida and Pancho Martinez Pey with Ricardo Barrios and Laura Melo, two couples who already have a strong following in Australia, this festival will give Sydney the tango buzz over Easter 2017. Lorena and Pancho last visited for the Sydney Tango Festival in 2012 and Ricardo and Laura (pictured) were guests of the Made in Argentina Festival in 2013. More details to come in later newsletters. DUO PROJECT with Nestor & Emily-Rose. Concert at The Unorthodox Church of Groove. Doors open 7pm Show 8pm. 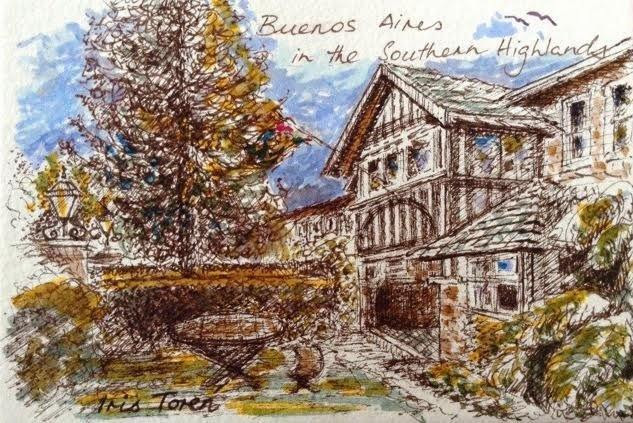 The club established by the Uruguayan community on the outskirts of Sydney many years ago frequently hosts tango events. 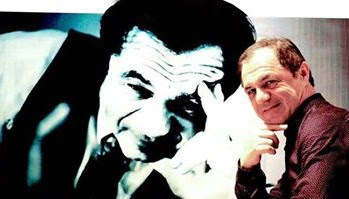 Nestor Vaz will perform with Tàngalo. A traditional asado available and the club is licensed. 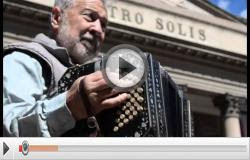 A Concert of the music of Astor Piazzolla with Bandoneonista Nestor Vaz will be followed by a Milonga. Tàngalo orquesta tipica will perform with Nestor Vaz at one of Sydney’s favourite jazz venues right in the heart of town. La Milonga de la Gente organised by Sydney Tango, the organisation behind the Sydneytango calendar of events and the community club Tango Synergy. This is a night of dancing on a wonderful sprung dance floor, one of the few left in Sydney. 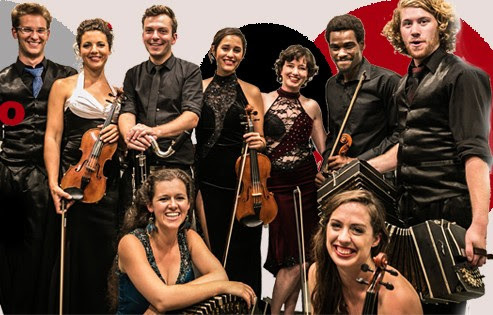 Tángalo will be joined by Sydney youth orchestra, Tango Oz and bandoneonista Maggie Ferguson together with Nestor Vaz. Tango Capital brings news, views, reviews, and interviews on tango in Australasia, with occasional forays elsewhere, together with the best in traditional and modern tango music. The primary channel is a one-hour weekly radio program supported by internet presence. There were around 40,000 recordings made during the Golden Age, how many do you listen to? Argentine Tango Radio plays Golden Age tango music and more non-stop… check it out here.